A discerning social media Judge may not have much difficulty in understanding the issues in the case and determine verdict easily as to whether the suspects are guilty as charged or not. Even though the EFCC had already pronounced them guilty through the release of their mugshots to the social media with inscription of their offense before conviction. The case is in respect of the 2015 presidential campaign funds in the sum of N700 million received by the Kaduna State Government with clear directives on how it should be disbursed from the PDP Presidential Campaign Council. The funds were meant to cater for the Presidential, Senatorial and House of Representatives election logistics. Accordingly, the funds were disbursed across the 23 Local Government Councils, in Kaduna State and with specific instruction and detailed breakdown of who, how and purpose that the monies were to be shared. INEC officials, the Security Agencies, Party Agents etc were amongst those the monies were shared to. A lot of people may inquire on the following to enable them to decipher the real motive behind this unfortunate incidence. Question 1: Why is the former governor of Kaduna State, Mukhtar Ramalan Yero arraigned? Answer 1: The former Governor of Kaduna State Alhaji Mukhtar Ramalan Yero is being charged by the EFCC for receiving monies meant for the 2015 Presidential and National Assembly elections. Question 2: How were the funds received and disbursed? Answer 2: The sum of N700 million were released in cash to the state chairman of the PDP, a former Minister and the Secretary to the Government of Kaduna state from a commercial bank. 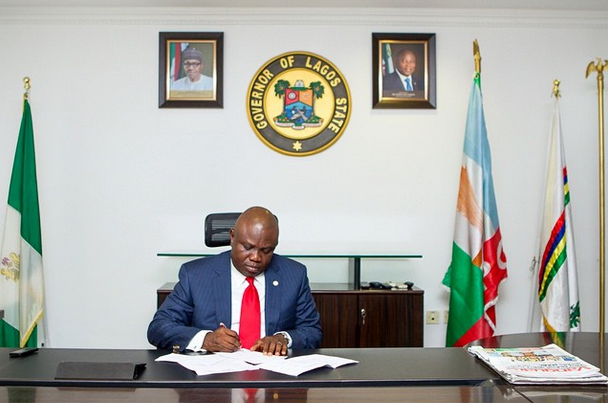 Following further directives from the former governor, the share for each local government were subsequently released to respective stakeholders representatives of the Local Government. Question 3: Why should receiving monies from the Presidency meant for elections constitute conspiracy to commit crime and money laundering offense? Answer 3: It is difficult to imagine how any sitting governor in the same party with the president of the federal republic of Nigeria and who also double as the state party leader not carry out simple presidential directives, like the management of election funds. The management of campaign and election funds in Nigeria by all political parties are handled mainly with cash because the expenses relates to security, transportation, materials and other logistics. Besides, we should note that a governor is the chief security officer of the state. Therefore, like the president he could also direct and allow for cash transactions relating to such important exercises based on available security reports at their disposal and other exigencies. Question 4: Were the actions of the EFCC normal in the release of the mugshots of the former governor? Answer 4: The release of the mugshots of the former governor and other accused persons in the 2015 campaign funds case by the EFCC-Kaduna State Division is unprofessional and amounts to extra- Judicial conviction before trial. It is also a gross violation of His Excellency, Mukhtar Ramalan Yero’s constitutional and natural human rights to dignity, presumption of innocence until proven guilty. The action by the EFCC unfortunately, is viewed by many as politically motivated to favour the ruling APC. It is shameful and barbaric. Question 5: How is the APC style of fighting corruption and the Politics of 2019? It is appalling that the ruling APC, the same party and administration that have been accusing others of corruption and subjecting PDP stalwarts to negative media propaganda and trials especially with the build up to the 2019 political activities. Answer 5: It should be very clear by now, with the Gestapo style of the EFCC on clamping down on opposing political views and opposition politicians that there are some aspects about the fight against corruption by the ruling APC that is political. The intensity about the fight on corruption is all about the politics of 2019. Question 6: Who is Mukhtar Ramalan Yero and his political prospects in Kaduna state? Answer 6: Mukhtar Ramalan Yero turned 50 years old on May 1, 2018 and is the immediate past governor of Kaduna State. He hold the prestigious traditional title of the Dallatun Zazzau. Before he became governor Mukhtar Ramalan Yero served as the Kaduna State Commissioner of Finance from 2007 till May 2010 when Patrick Ibrahim Yakowa named him as the Deputy Governor after he succeeded Namadi Sambo who became the Vice President of Nigeria. In December 2012 he became Governor of Kaduna State after the death of Patrick Ibrahim Yakowa. He enjoys enormous goodwill and grass root support from many who felt disappointed with El-Rufa’I due to the unbearable harsh policies of the APC led government in the state. Mukhtar Ramalan Yero’s loyalty to the PDP is unalloyed. During the 2014 APC merger with the nPDP he was invited to pick the gubernatorial ticket and be rewarded with the APC state party structure, but Yero declined the offer and remained with the PDP in spite of the very little prospects of winning the elections in view of the Buhari tsunami and the gang-up by the north against Goodluck Jonathan. With less than a year to the 2019 general elections and the prospects that Mukhtar Ramalan Yero could cling the PDP gubernatorial ticket. Almost all Political permutations have shown that the former governor Mukhtar Yero could beat the incumbent El-Rufa’i at the polls with an overwhelming victory exposed him to the schemings of the ruling APC. Question 7: So, who is afraid of Mukhtar Ramalan Yero? Answer 7: It is obvious that the ruling APC has failed the good people of Kaduna State, with the attendant hardship the government have brought to the people. Both at the Federal and state government are clamping down on opposition politicians, especially those who pose serious threats to their political fortunes in the next elections. Behind the political travails of the former governor of Kaduna State, Mukhtar Ramalan Yero is El-Rufa’i and the APC led government. Investigative reports have found some collaboration between the EFCC – Kaduna divisional office and two 2 top aides in the El-Rufai administration, whom along with a former close aide of Mukhtar Ramalan and whom has defected to the APC and hailed from Zaria Local Government. The same Local Government with Yero. The trio have sworn to continue with the campaign smear the former governor’s reputation to the extent that it would be difficult for him to stand against election with Malam Nasir El-Rufai in the 2019 general elections. 1. If the Federal Government and EFCC are indeed serious about investigating the sources and the recovery of monies disbursed for the PDP 2015 Presidential campaign/election, the former President Goodluck Jonathan and former Vice President Namadi Sambo should be invited to answer accordingly for their actions. 2. Raising funds for campaigns and election are normal in politics and usually the government in power have more advantage to sources. However, collectively as a nation if we strongly felt that the practice where government of the ruling party is also the major financier of political activities, then the onerous is on us to review our electoral laws and ensure full compliance. 3. In every situation and circumstances that we may find ourselves, we MUST never forget that the continuous survival of Nigeria and our democracy lies solely upon the strict observance of the Rule of Law- Justice and fair play. If we allow the EFCC or any other government institution for that matter to violate the law with impunity, especially in the degrading manner in which they treated the former governor His Excellency Mukhtar Ramalan Yero then we would be setting a very dangerous precedent and gradually descend into anarchy and dictatorship before we realize it. 4. The EFCC MUST be made to retract those mugshots with Public apology to His Excellency, the former governor Mukhtar Ramalan Yero and to his immediate family for the injuries their barbaric actions might have caused to them. After all, we have not seen mugshots anywhere of any former governor who had been investigated or arraigned of the same alleged offence. 5. To forestall future occurrence of this unconstitutional, illegal and unlawful act the President Muhammadu Buhari MUST call the EFCC operatives to Order. 6. The National Assembly should be called upon to condemn the humiliating treatment and also enact Law forbidding this type of barbarism by every law enforcement agency. 7. Finally, to sound a note of CAUTION to all those whom may chose not see the value of this piece today or ignore it simply because the victim is Mukhtar Ramalan Yero and Buhari is the President of the Federal Republic of Nigeria, while El-Rufai is the Governor of Kaduna State. If we do that then we should be rest assured that subsequent administration will do worse. What is wrong, is wrong and must be condemned by all.